The Universal Martial Arts is officially being opened on an international scale as its first International Grading was hosted on Mar. 30, 2019. 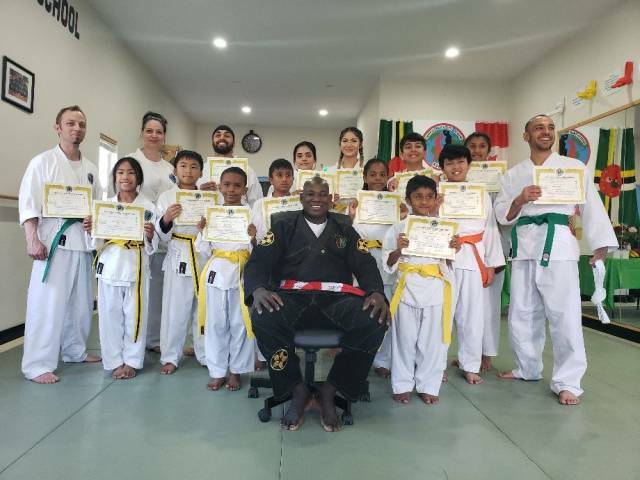 He said that a total of 18 Students moved through the ranks of the ‘’Robin Ryu’ system and that Dominica is emerging on the world map. Robin firmly expressed his desire to continue being an ambassador for his country while being a role model to the youth. Robin described the International Grading as being “historical” for Dominica. He has dreams of inviting Martial Arts legends to Dominica to host an international Martial Arts event.